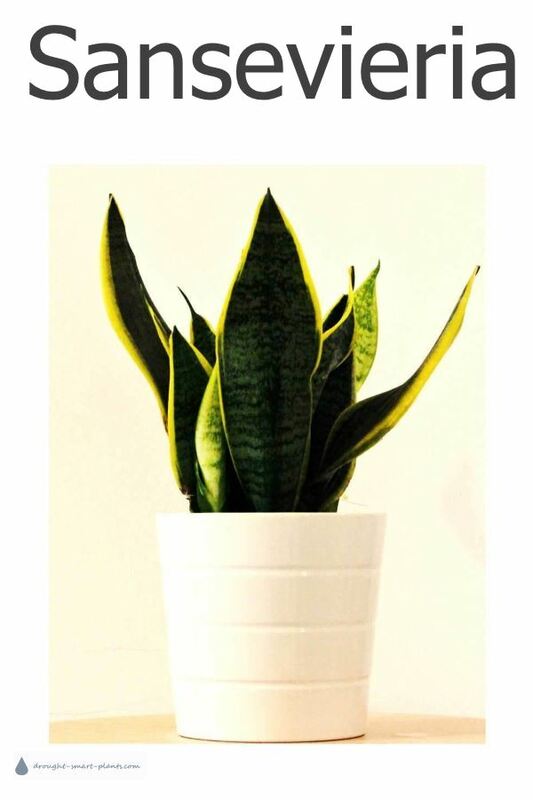 An old time favorite that long fell out of fashion, Sanseveria is back - big time! There are new and improved types of this plant that are better than ever. This is one of those plants that doesn't get any credit - they're tough, resilient, textural and really hard to kill. This makes them the perfect plant for challenging conditions in dorms, apartments and other dwellings where they might get neglected. Luckily, Sanseveria trifasciata varieties are easy to grow, gorgeously structural and modern looking, and very striking when well grown. Many named species are commonly sold in 'succulent collections' that are found in box stores and supermarkets. They prefer to be slightly pot bound, so don't be in too much of a hurry to transplant them. They'll only rarely bloom, and only if they're really crowded. Blooming isn't their main attraction anyway - their gorgeous stripy upright leaves are why they're grown. If yours does happen to bloom, get ready to see an amazing sight; nectar dripping from the opening flowers. Taste it - it's sweet! For watering, they prefer to be on the dry side. Any plant with the same type of fleshy roots has the ability to go long periods without much water. When you do water, don't tease - make it a good dousing. Clean the leaves periodically with a damp cloth to keep them glossy, as well as making sure they can breathe. Don't use any of the common types of leaf shine products - mix a small amount of milk with water to shine them up without stifling them in the process. 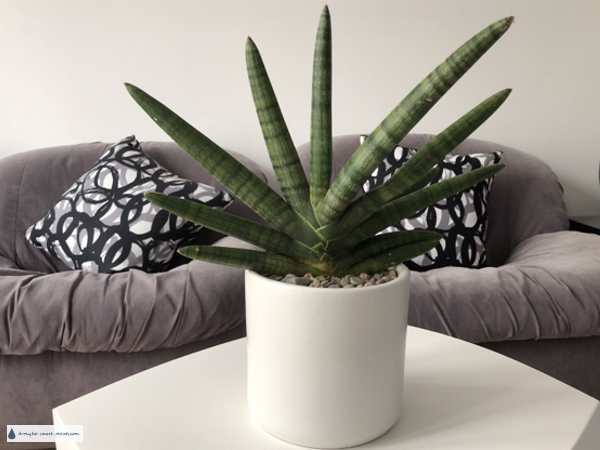 Cylindrical Snake Plant, African Spear, Spear Sansevieria, Spear Orchid, Skyline Spear Sansevieria - how many common names does one plant need? This species grows in a fan shape from a basal rosette. If there's enough light, it can be encouraged to send up a three foot long flower stalk covered with pink buds which open into white flowers. tapering "fingers," as much as 20 inches long. No thorns. Variagated green/white coloration. Flurished and "pupped," spending 4 rootbound years on its side in the shade. 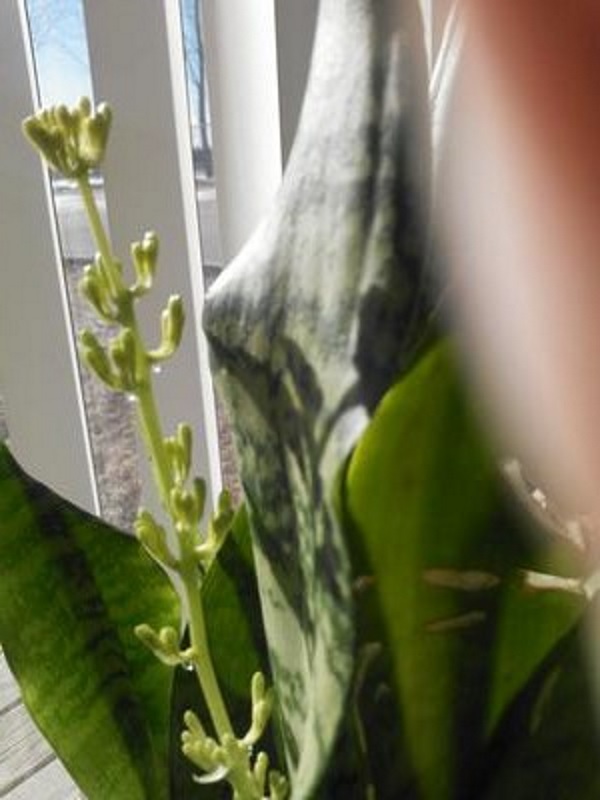 this plant has a pattern like tiger stripes (light green and dark green), with long, pointed oval leaves. can you please help me identify it?